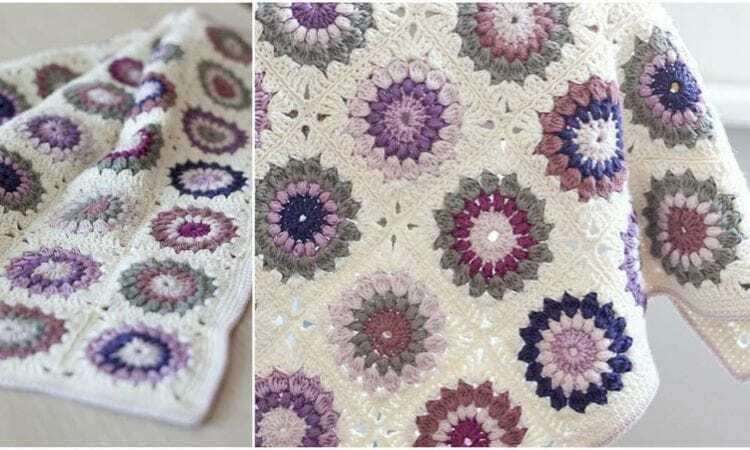 This beautiful blanket is based on the pattern called Sunburst Granny Square by Priscilla Hewitt. Finished squares are 6” across, with a variation for 7” included. The eye-catching floral motif makes it a perfect pattern for a summer blanket. Below you will find links to the granny square pattern and a detailed blanket tutorial. For more free designs every day follow us on Facebook. Sunburst Granny Square Pattern you will find here. Sunburst Granny Square Tutorial you will find here. Go here for more details about yarn and hook.